I read the Kindle Edition of this book about a year ago and really enjoyed it. I also really enjoyed this graphic novel version. This is one of those moments when I'm very annoyed that Goodreads won't let me review different editions of the same book. 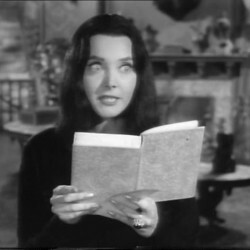 There is a big difference between a Kindle single and a graphic novel. But I digress. 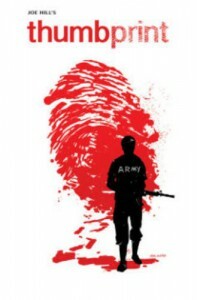 Thumbprint is a harsh story about an Iraq veteran named Mallory, who needless to say, as some issues. But not nearly as many issues as the guy who keeps on sending her thumbprints in the mail and is obviously stalking her. Around this cat and mouse game is a story of how way does not always create heroes, and the glamorous perception of the U.S. Military is stripped away. The story is cruel and unforgiving and if dark elements to a story are not your thing, or if the psychological impact of war might be a trigger for you, it is best avoided. The graphic novel has a different ending from the Kindle Single. So if you read one it's worth it to read the other just for the differences. Both are good and both leave things somewhat unresolved in a creepy dark way.